It's never too late to have a good divorce. Based on two decades of groundbreaking research, The Good Divorce presents the surprising finding that in more than fifty percent of divorces couples end their marriages, yet preserve their families. 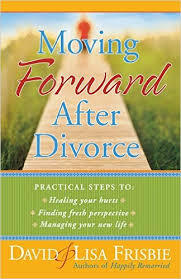 Dr. Ahrons shows couples how they can move beyond the confusing, even terrifying early stages of breakup and learn to deal with the transition from a nuclear to a "binuclear" family--one that spans two households and continues to meet the needs of children. 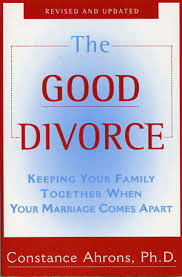 The Good Divorce is a powerful tonic for the millions of divorcing and long-divorces parents who are tired of hearing only the damage reports. It will make us change the way we think about divorce and the way we divorce, reconfirming our commitment to children and families. maintain your own sanity in the process! This excellent resource provides great help for those with children and will guide any divorced reader to see the hope of a second chance as they learn to depend on God's grace, sufficiency, and promises. Dr. David and Lisa Frisbie, "America's Remarriage Experts" show you how to get un-stuck from harmful emotions, and begin the process of moving forward. Why strong feelings of jealousy do not mean you are "in love." How to get through the agonizing breakup period--without going back. How not to get caught in such a painful relationship again. 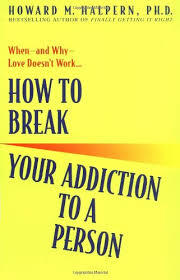 This book is an insightful, step-by-step guide to breaking that addiction--and surviving the split.